The AMC AMX/3 of 1970 took its inspiration from the AMX/2 concept car, a well-received prototype shown by the USA’s then fourth largest car maker at the 1969 Chicago Auto Show. AMC contracted famed ex-Ferrari engineering guru Giotto Bizzarrini to make a production-ready car lightly based of the AMX/2 concept, with the AMX/3 of 1970 being the end result. Bizzarrini’s final roadworthy AMX/3 featured all the classic hallmarks of early 1970s sports car engineering, with a mid-mounted engine and rear transaxle covered by a svelte low-slung body. AMC was serious about producing the car, but by unfortunate coincidence its design was very similar to the De Tomaso Pantera, which debuted just one day after the AMX/3, with a far lower price tag and the full support of Ford’s extensive North American dealer network. 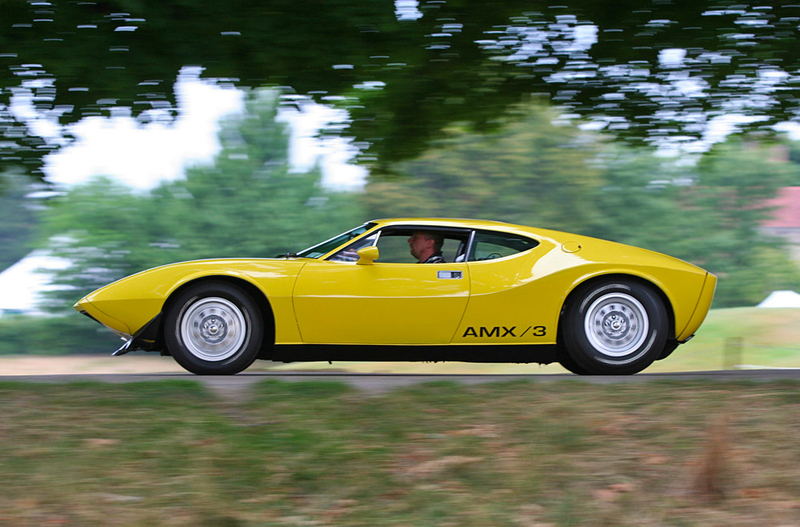 AMC promptly decided that it would not be able to compete with the Pantera, so it immediately dropped the AMX/3 project with just six examples of the car being made, one of which will be displayed at the 2014 Concours of Elegance at Hampton Court Palace from 5-7 September, along with 60 other rare and outstanding concours cars.